is there a way to tell what role a process currently has? Moreover, just to make sure I got that right: If a process P enters a role, say role R, and P forks off process Q, then Q inherits role R until P terminates; upon termination of P Q falls back into its default role - correct? That kind of behavior only pertains to special roles. What special role a process is in can be seen with /proc/pid/status. User/group roles are only changed upon modification of the real uid/gid of a process. Thus the suid/sgid binaries executed from a given role still stay in that given role (if/until the real uid/gid is changed by that binary). Now: If I want to secure a set of daemons (say an MTA like postfix) such that neither the daemons can misbehave too badly nor can the (ordinary) root user do mischief. I thought about assigning a special role to the daemons and not using the default role. (Where's the point of having roles if you cram everything into the default role?) You once mentioned elsewhere that there is no automatic transition for processes by executable file name, and that one needs to use a special role without authentication and using a kind of wrapper. I would not like that, it would be dirty hack. Is it inherently impossible for grsec to assign a role other than the default role to a group of processes (not having the same uid/gid) by a policy rule? Or is it just something that you think is not right? The only other way I could imagine is to run all daemons in the group under one common uid and assign privileges there... but many daemons check that they have uid 0 and complain if they don't. One could give them euid 0. Requires suid. bah, yet another dirty hack. How would you address that? You should think of the roles as a collection of subjects. It's the subjects that provide a majority of the separation, such that acceptable levels of separation can be provided within a single role. Various subject flags exist to control things like whether a process can be killed by a non-admin, etc. The subject for the root role needs a handful of capabilities but not many additional filesystem permissions. The mail server needs read/write access to the mail spools for all users on the system and not much else. Have you tried using the learning mode to generate a policy? It will likely do a better job than one developed by hand (and it's easily tweakable with the learn_config file). thanks for your reply and the demo policy for postfix. I see your point, but I still claim that the role concept is somewhat odd for daemons. For an admin that logs in as root finds himself in the same role (namely root) as, say the postfix master process. Possibly together with other (unrelated) daemon processes. I believe that the concept that grsec pursues is sufficient, at the same time, distributing a set of closely interrelated processes over various roles is unnatural. Btw. I do know about the learnig mode, I am playing with that already. I've finally deployed RBAC policy, I've been making really determined attempts for long time. Such a lot of different things to learn! I have a few questions/queries/difficulties left. And the first is how risky is it for someone to post their policy online. I did it in the link given, regardless of how risky it is, so other users may benefit. gradm -a admin says "Invalid password." on and off (1 and 0). anyone knows a good way to control that verbosity? any quick links on the issue? where I use exec_logging to detect when the ffmpeg started screencasting. How much of a risk is it if grsec_lock is left unlocked, at value 0? to work as you described in your post. helpful to other users (which I am not sure of, too lengthy, 100k!). 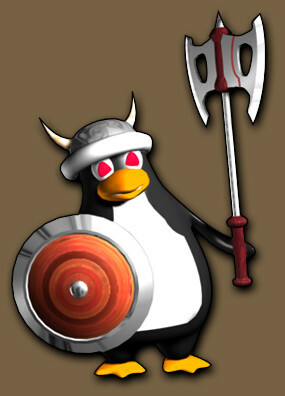 and use it, such as make it my logo on Gentoo Forums? Please!